Ice and Water Vending Machines ever built – the IM600 & IM600XL! 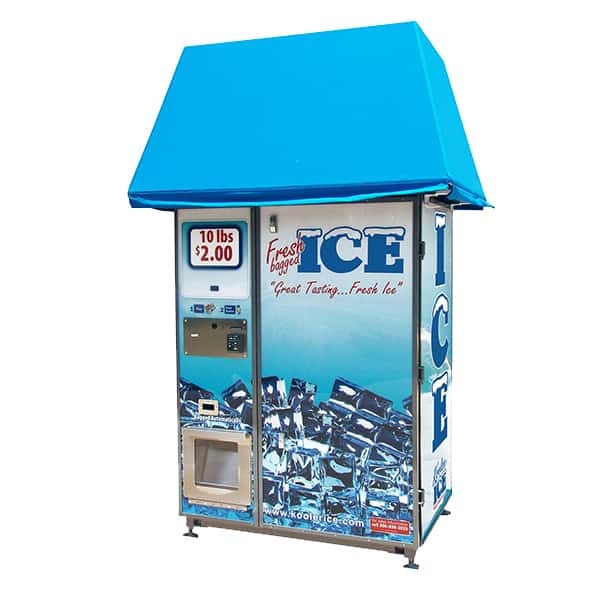 The IM600 ice vending machine is a uniquely versatile ice and water machine that was designed to go inside the store, outside the store, or even stands alone in a parking lot. 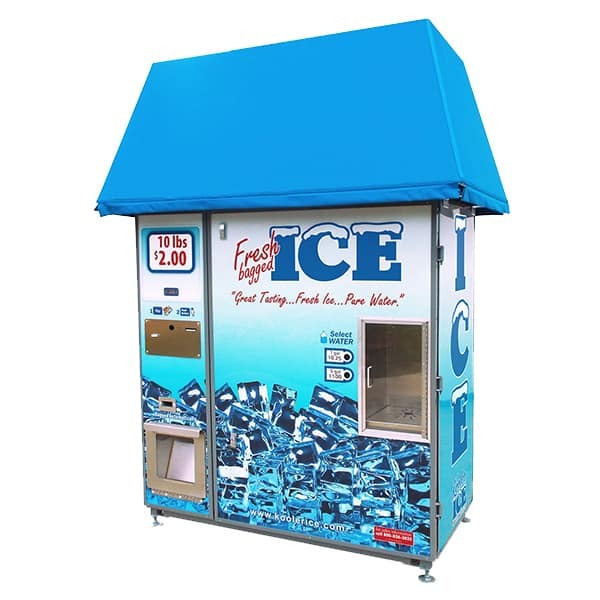 It offers owners multiple ways to configure the ice vending machine so that it can be individually tailored in the way that will best suit your business; from multiple payment options to including a water vending option (the IM600XL) from the same machine! 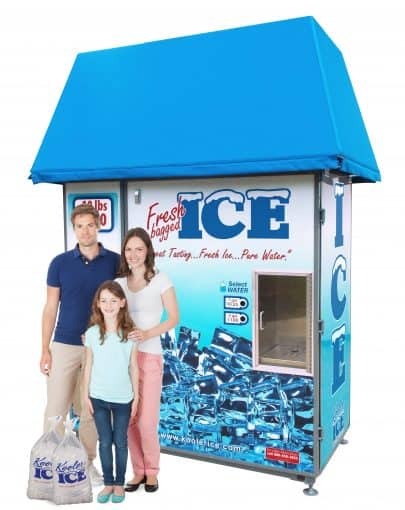 Equipped with a 550lb storage bin, the largest in this size class of ice vending machines. Equipped with your choice of 4 different Scotsman ice makers to offer retailers and investors a machine that can produce up to 90 – 10lb bags of ice every day! The ability to offer Multiple Payment Options. 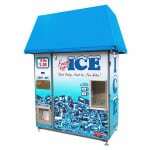 It can be ordered with or without the cash vending option. 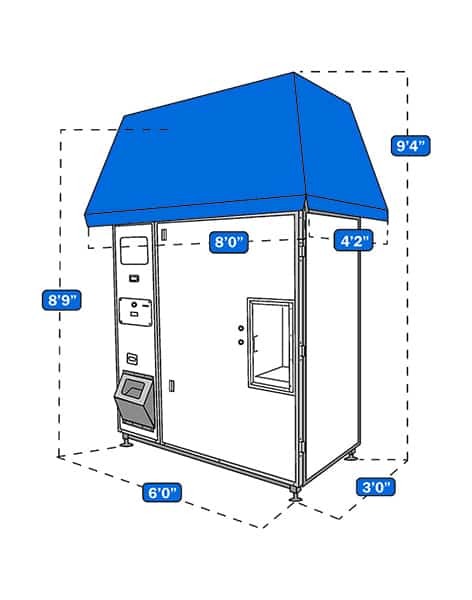 But, the machine can now be configured to have no vending by using a single dispensing button, or accept credit/debit cards only, allowing machine owners to eliminate the use of cash in the machine. The ability to offer Filtered or RO Water from the same machine. Units equipped with water vending are called the IM600XL. The ability to add a Credit/Debit Card Reader to offer your customers the convenience of accepting any method of payment. The ability to equip the unit with (1) 10lb. Vend Selection Button. Ice is vended in 12 seconds! The ability to add a LED Lighting Kit to illuminate the machine at night for improved visibility, safety and convenience after dusk. The ability to add a Heating Unit to machines or optional Cold Weather Ice Maker Package - For areas where temperatures can drop below freezing to allow you to continue operating your machine and prevent lines and filters freezing. The ability to use “One Vend” Coupons to market the machine. These are a GREAT marketing feature! 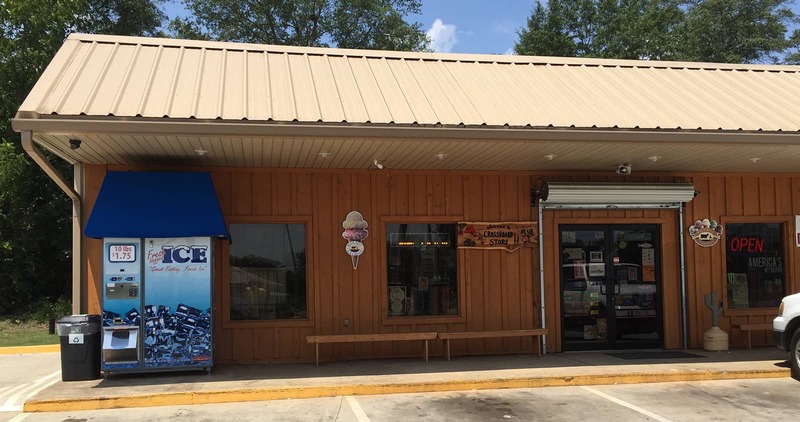 Coupons can be read by the machine just like cash and can be used for Customer Rewards programs, promotions, donations, and to sell the bagged ice from the machine at the counter with other store purchases. 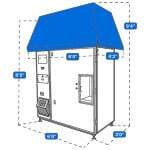 The unit comes standard with our proprietary "Icetalk™" Machine Management System. This system not only monitors over 20 important machine functions from your smart phone, iPad tablet or laptop, but it also allows owners to free vend and reset the bill validator remotely. The Icetalk™ system is more than just a monitoring system – it’s a machine management tool as well! Our machine is environmentally friendly! The ice is made on site and "on demand", so there is no waste of our earth's valuable resources, no toxic emissions and no residual harmful waste products. In addition, because the units do not require a refrigeration unit to keep the product frozen, it has lower utility demands as well. *C0630 production estimates are based on indoor operation. 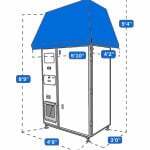 Adjustable Vend Rate which allows Owners to set and change pricing. Includes “Smart” Features” like automatic notification if machine runs out of ice or bags. 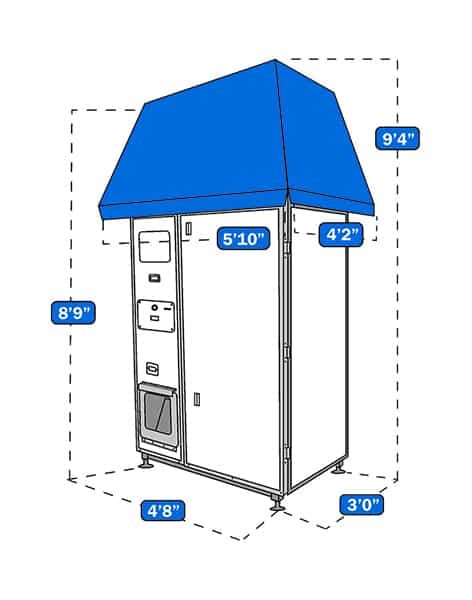 Bin Storage Capacity: Up to 550lbs depending on the ice maker selected. Bag Holder Capacity: 350 bags with an easy bag changing system.